When someone visits your website and does something you want them to do, like buy an item or visit a certain page, it’s called a conversion. As a marketer, you’ve probably set up or thought about setting up conversion tracking to see what’s working. A conversion is a lot like scoring a goal in a basketball game. It takes more than one player to make it happen, and if you were coaching the team, you’d want to see all the players who assisted in the goal so you could identify how they interacted and score again and again. It’s the same in online marketing. If you think of the marketing channels that drive traffic to your site as players, the ones making the assists are often just as important as the one making the goal. The ways your customers interact with Shoelace advertisements play a huge part in the marketing funnel leading to conversions. One of the great things about Shoelace is that we provide our services in your own Facebook ad account so that you have full transparency of the conversions reported to you! Your Shoelace dashboard displays a summary of this results data, including the total conversions your Shoelace ads have generated. In your dashboard you have the option to display results from a specific ad, journey, or all together AND can break down the results by the past 7 days, 30 days, or lifetime. A very common question we get asked is how to tie these conversion amounts to your orders in Shopify? 2.) The purchase/conversion amount reported is the subtotal of the whole order in the currency of your Facebook Ad Account. It will not include shipping or tax. 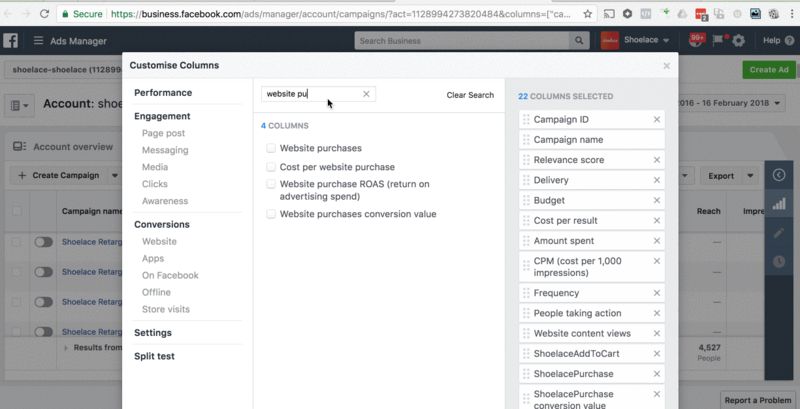 Facebook's ads manager allows you to break down your purchase/conversion results by the last day and time an ad was seen or clicked on. This can make it easier to break down individual orders and allow for easier tracing. 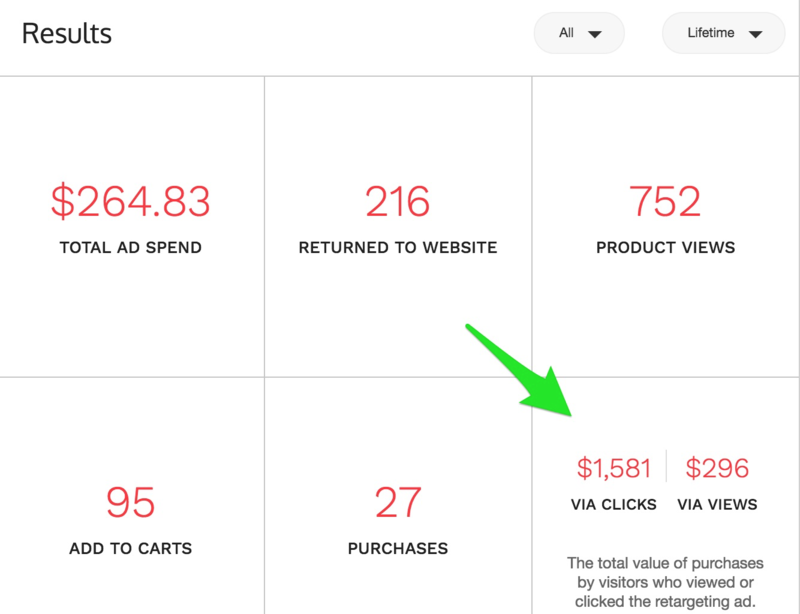 Once you have broken down the purchases to their most granule in Facebook (the best break down is 1 purchase per line) you can then open up your Shopify orders sheet and compare the sub-total amounts which most closely match the day and time the ad was clicked or seen. Because Facebook's attribution window for clicks can be up to 28 days, occasionally this amount will show up on a day that is long past the "last date clicked" reported on Facebook. Look for utm_medium=shoelace in your Shopify orders file. Having trouble narrowing down results by day/time? Facebook also allows you to break down by country and region, as well as many other options. 5. Set up your Google Analytics in a way that helps account for Facebook ads. Learn more here. If something seems off with the reports, please reach out to our team and we would be happy to help!